New data driven FinTech business models built on Hadoop, Spark and Machine Learning are rapidly emerging and disrupting wealth management. 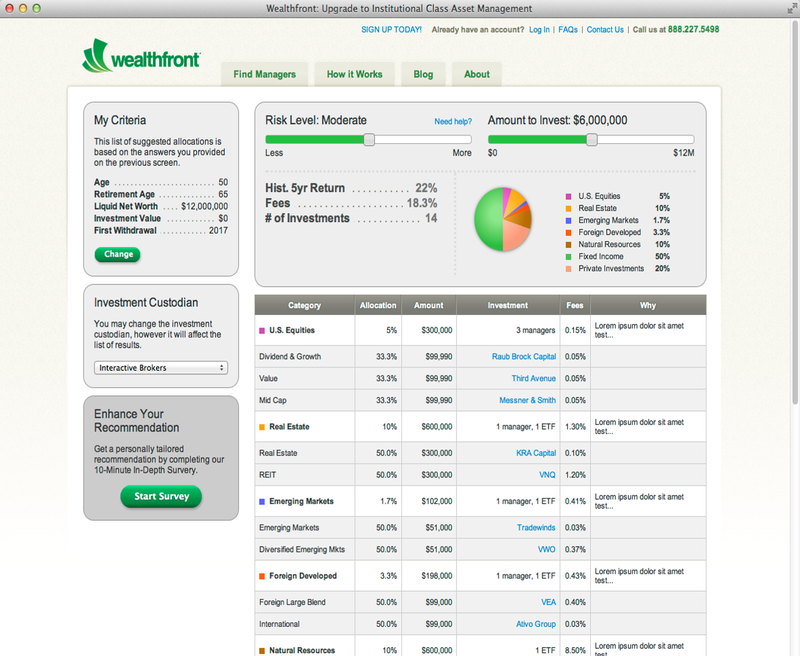 Here is my recent posting from disruptivedigital.wordpress.com about one such use case… Robo-Advisors. Now there is a third option. Robo-advisors are new class of personal financial advisors that provides online, algorithm based portfolio management with minimal human intervention. Robo-Advisors going after the low-end of brokerage/RIA business with automated asset allocation using Modern Portfolio Theory. FutureAdvisor (With over $600 million in AUM). The timing for this market shift coincides with three trends: consumerization, digital tools, and disillusionment with status-quo investment advisors. The gyrating stock market driven by program trading is increasingly bringing Robo-Advisors, algorithmic portfolio management to the forefront. Investors are getting disillusioned with traditional investment advisors who simply track the market indices (SPY, QQQ or Russell 2000) by purchasing ETFs at best. Many banks and brokerage firms over the years have shifted their focus to serve ultra high net worth (UHNW) and high net worth (HNW) investors, leaving an opportunity for firms to target the “mass affluent” investors, or those with less than $1 million in investable assets. Younger investors are increasingly interested in online digital advice (trial-and-error bets), as opposed to hiring an adviser.